Love this Christmas card Jen. Love this card...just perfect for the holidays! Great way to use primary colors! 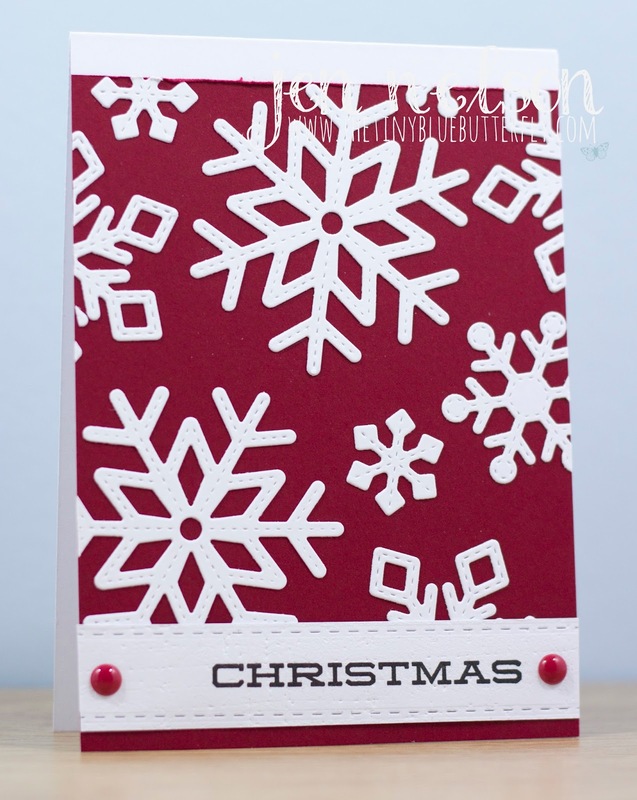 Love those stitched snowflakes - a great layout.